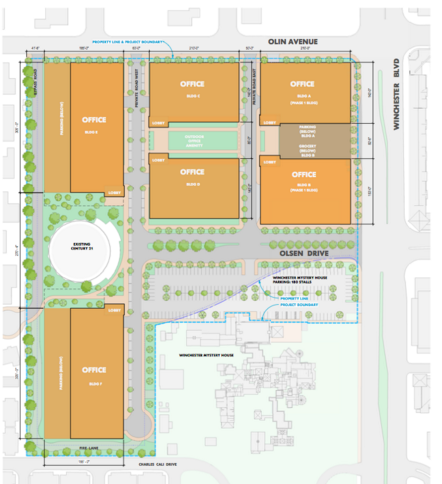 Federal Realty is changing their development plans for the former Winchester Theaters parking lot across from their flagship property, Santana Row. Residential has been completely removed from the project. Instead, they have decided to double-down on offices and develop a million square feet of high-end commercial space across six buildings. Each of those will range between six and nine stories, with parking taking the first three floors on the majority of the buildings. There is no surface parking, all 2,545 parking spaces will be in the garages. 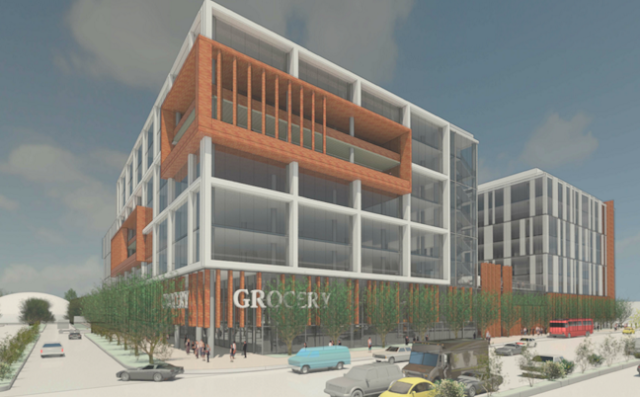 There will be at least one retail component, a 29,000 SQFT grocery store that I'm sure will be popular with residents across the street at Santana Row. There is also a big question mark on what Federal Realty will do with the only Dome that was saved (which you can see on the lower left of the first render below). Speculated use has ranged from a performance arts theater to a beer garden. This won't be the only major project in the area. Westfield is well underway with a $600 million expansion of Valley Fair. Plans have been submitted for a 12-story boutique hotel at 2850 Stevens Creek, where a gas station currently sits. 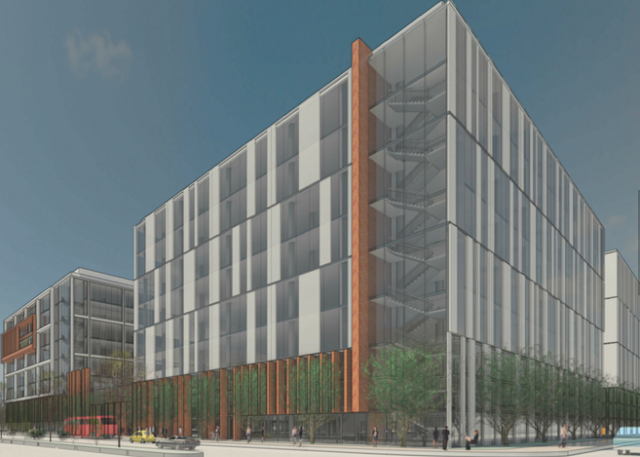 There is also a proposal for 650 new apartments at 881 S. Winchester Avenue (replacing a 216 unit project), and another one for 160 residential units along with 12,000 SQFT of retail at 751 S. Winchester. 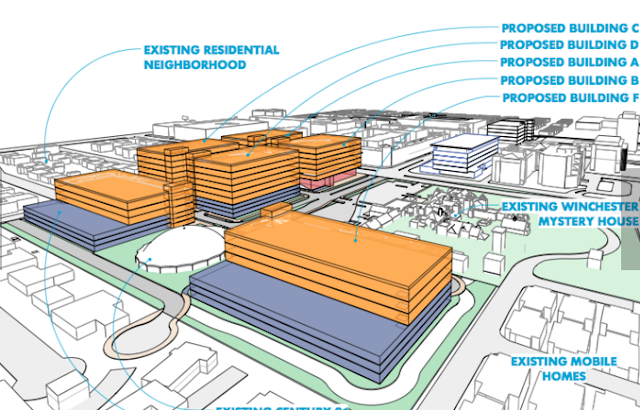 The neighborhood is certainly going to look quite a bit differently in a few years. Hopefully the new Bus Rapid Transit line will be operational by the time these projects are completed. A new Winchester Advisory Group has been meeting to great a plan with recommended transit improvements. At least the office project will not add to weekend traffic and will add much needed parking spaces to the Santana Row/Valley Fair area.